As always, Chatswood was bustling with people on a Saturday night. 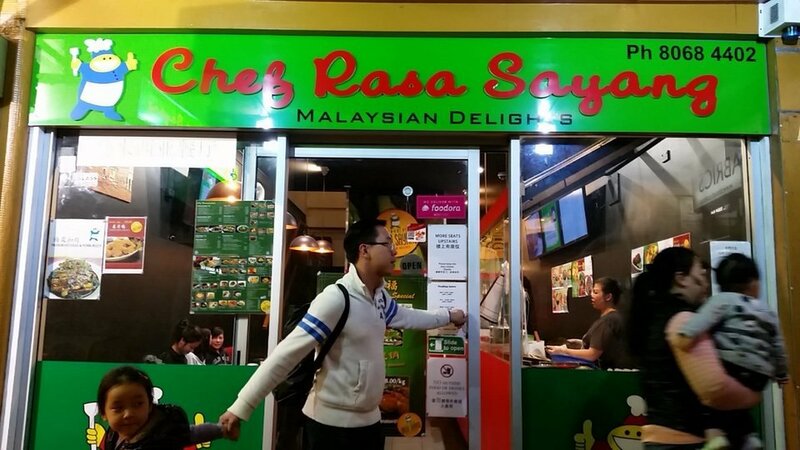 As we were strolling down Victoria Avenue in search for dinner, we happened to see a small and busy restaurant by the name of Chef Rasa Sayang. It offered Malaysian cuisine and was brimming with people. From the outside, we noticed that there was also an upstairs seating area. It was a little more spacious than the downstairs seating area and allowed for a bigger capacity. Despite the initial chaos of finding a space for 4, we were ushered upstairs where we were told to wait for 5 - 10 minutes. It was a short wait and the staff tried their best to make space for us by shifting the tables around. Eventually, we claimed our seats after around 10 minutes of shuffling. As first-time visitors, it was a little shock to us that many aspects of our dining experience were of the self-service nature. For example, the signs on the wall indicated that we were to claim our cutlery, napkins, water and tea in the shelf cabinet beside the stairs. Though we were seated upstairs and perusing our menus, we were required to order downstairs whereby we were given a number. Here was where the waiting staff came in and would bring our orders. 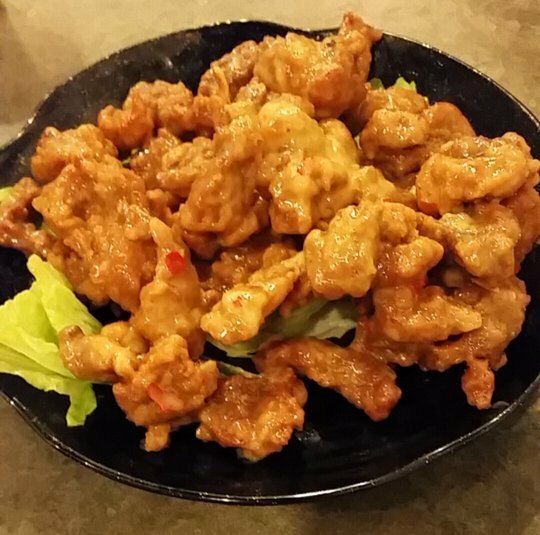 The menu provided a wonderful range of options which reflect authentic Malaysian cuisine. First of all, we ordered the buttercream chicken. It was deep-fried chicken coated in buttercream which had a very unique taste. The chicken was plated on top of lettuce leaves. 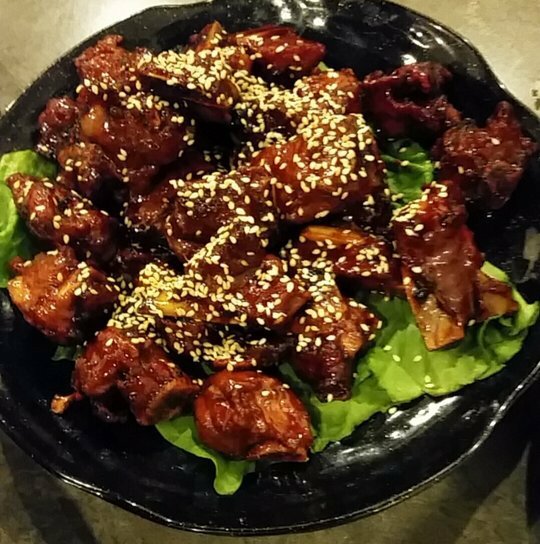 We also ordered Marmite Spare Pork Ribs which I found to be delicious! The Marmite flavour particularly complemented the juicy pork ribs. On top of that, we also ordered several bowls of white rice. We also ordered the Curry Chicken Laksa. It was very flavoursome and the chicken was well cooked, making it soft and smooth. Overall, it was a very pleasant dining experience with delicious and authentic Malaysian food at an affordable price.